BVI Athletics Photo (CM Farrington) of 100M Dash at 2nd OECS Track & Field Championships on Saturday, July 2, 2016. Montserrat’s Julius Morris is bringing home a silver medal from the 2nd OECS Track & Field Championships held on the weekend at the AO Shirley Recreation Grounds in Tortola, British Virgin Islands. Morris had a qualifying time in the 100M Men’s Prelims with 10.61, coming in at fourth place. This position and time he improved in the Finals, placing second behind Miquel Francis of Antigua with a time of 10.45. 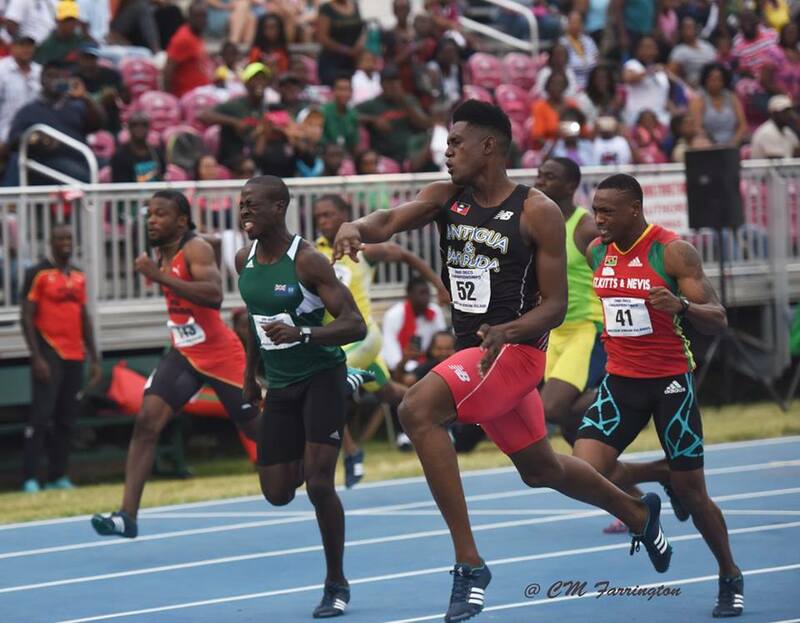 Host country, British Virgin Islands claimed the top spot in the just concluded Track & Field competition, which saw nine OECS Member States participating. BVI amassed a total of 183 points, finishing ahead of St.Kitts/Nevis and Grenada, second and third respectively. Montserrat finished in last place with 8 points.